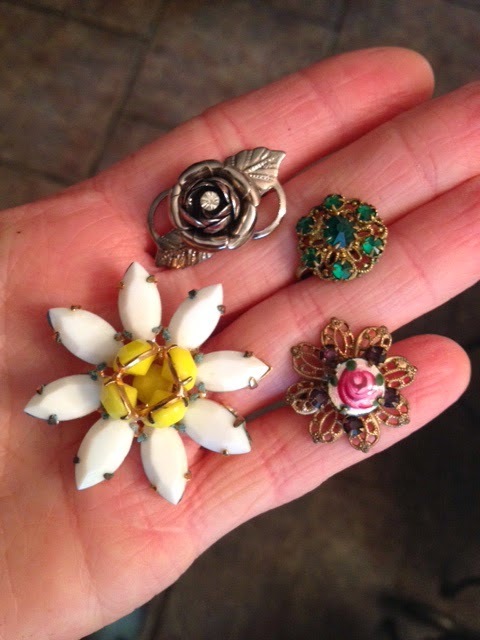 Kerri Arista: Salvaged Vintage Jewelry! Buying vintage jewelry off of Ebay can be hit or miss. Sometimes, what looks great in an online photograph, doesn't look so great in real life. But other times, once you get what you "won" in the mail, it's far better even than the pictures revealed. 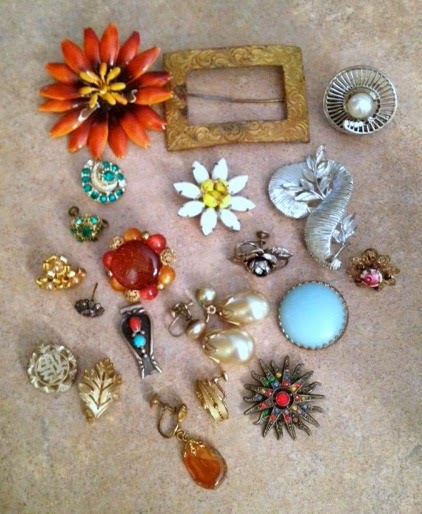 Such was the case with this vintage jewelry lot I won over the weekend. It showed up on my doorstep today, and it was a little like Christmas morning when I was a kid. tearing into all these little packages was so thrilling! The seller wrapped every single item so carefully, and included a little note saying she hoped she wrapped things up well enough that I didn't get stuck with any of the pins. ( I didn't, I was careful! Thanks!) I didn't really know just how many things were going to be in there, but it was a lot! so many salvageable vintage treasures! 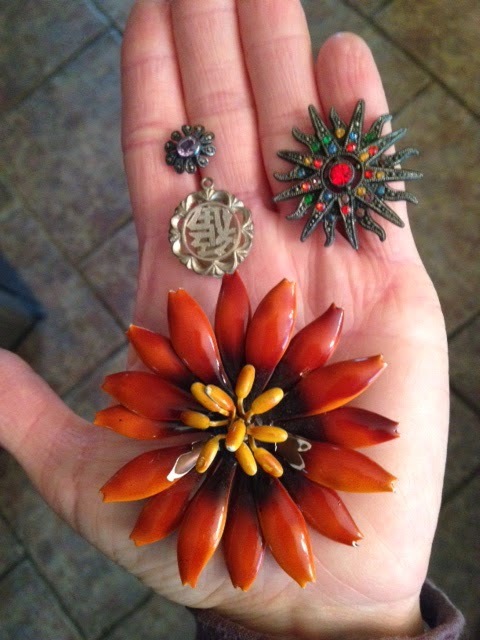 These may need a little TLC to bring them back to life, but they will soon be used to make some pretty, one-of-a-kind, repurposed vintage necklaces and bracelets. I'll post photos soon! How fun was that! Can't wait to see what you do with them Kerri!